Kolkata: After fighting it for nearly two years, the anti-power station agitators led by a Naxalite group at Bhangar in South 24-Parganas has at last succumbed to the state government pressure. 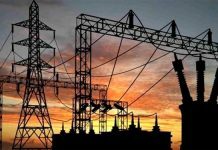 During a negotiation meeting with the district administration at Alipore in the city today, the agitators agreed to allow the work to resume on a “power substation” at Bhangar from 14 August. In lieu of this, the state government will provide financial compensation to the farmers over whose land high-tension power cables will pass. This is an offer the state government had made earlier this year but to no avail. Also, the state government will withdraw the criminal cases that were registered against the agitators. The agitators in today meeting were led by CPI-ML Red Star leader Alik Chakraborty, who was recently granted bail after being arrested on 31 May. The district administration was led by South 24-Parganas district magistrate Y Ratnakar Rao. 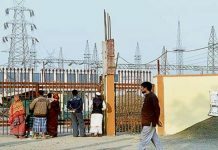 Chakraborty claimed that the agreement inked today clearly states that “it will not be a grid” but a “substation” that will be set up at Bhangar. Experts, however, have pointed out that “a grid” is the sum of a number of scattered power generation units, load centres, transmission centres, and substations. Hence, “a grid,” in any case, cannot come up at a single location like Bhangar. A minority section of the anti-power station agitators, who did not attend today meeting with the administration, has condemned the negotiation. In a statement, they have said that the leadership has succumbed before the police terror and the lure of making a political career by collaborating with the Trinamool government.